No additional software is required; Uniplay HMI’s work with the Trio 4xx Motion Coordinator range. Motion Perfect v3 is used to create operator HMI screens which are transferred to the UNIPLAY HMI by the Motion Coordinator at runtime. ... doesn't mean it's not Powerful. 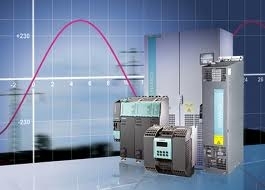 From the PROMAT 2013 show, Siemens Industry's Dave Kirklen gives an overview of the easy SINAMICS V20 Drive. There is a lot of buzz around the new generation of collaborative robots, or co-bots as some are calling. Marketing powerhouse ReThink has blazed onto the scene with Baxter, however as witnessed at the Automate show this week, the product may not be ready for integration into the industrial market. Universal Robots on the other hand has an installed base of co-bots in 40 countries and just launched their 2-arm solution in the US. "Universal Robots makes robotic arms that are "better than Baxter," in the view of Frank Tobe, publisher of The Robot Report". 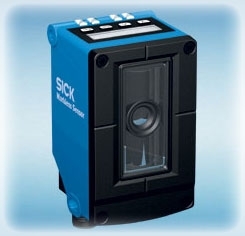 With the IDM140-2 Bluetooth, Sick is offering new hand-held barcode scanners for maximum flexibility and mobility. 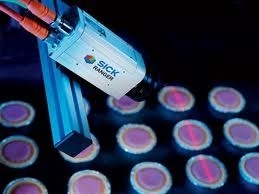 SICK has the world’s first high-speed 3D camera with high-quality color capability. By measuring both the 3D shape and the color of objects and parts, more reliable decisions can be made to allow production plants to improve their up-time, through-put, and product quality. The ColorRanger E replaces the need for several different cameras for the same task, which reduces the solution cost and complexity. With direct network connectivity to PROFINET, EtherNet/IP and standard Ethernet TCP/IP, SINAMICS drives always fit comfortably within your plant’s network. Backed by proven experience in the widest range of demanding applications, the choice to use SINAMICS drives for your next application is clearer than ever. 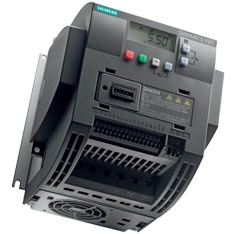 SINAMICS drives offer direct connectivity, requiring no third party devices or protocol converters. After record growth in over 40 countries, Universal Robots' lightweight robotic arms are now making their US debut. 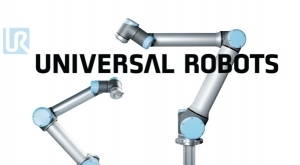 The UR5 robotic arm manufactured by Universal Robots has been announced. The world's most innovative robot by The International Federation of Robotics and IEEE Robotics and Automation Society. The UR5 and UR10 robotic arms are aimed at companies that thought robots were too expensive, cumbersome and hard to program and integrate in existing production. The lightweight, flexible UR5 and UR10 can work alongside personnel and generally require no safety shielding. The robotic arms are easily moved around the production area and present a plug-and-play solution; a simple user interface lets employees with no previous programming experience quickly set up and operate them. The ML20 markless sensor from Sick is designed to be used like a print mark sensor but does not require any optical marking on the package, instead detecting a taught-in design pattern. It therefore features more flexibility and more design freedom when planning packaging and needs less set-up time when it comes to changing labels and formats, avoiding unnecessary use of materials. The ML20, which can be used for controlling cutting edges, for example, employs a method for contrast pattern detection that involves teaching in a pattern sequence to the sensor. The pattern is detected during processing, at a scanning speed of up to 7 m/s, resulting in a switching signal. Even in the case of complex designs, tolerances in the track course of the continuous material and high machine speeds, the ML20 delivers reproducibility of up to 0.6 mm and precise and stable detection of nearly any pattern. 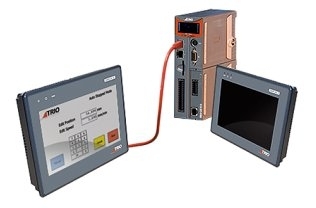 This industrial-grade mobile computer is ideal for reading DPM (direct part mark) codes in applications where operators need to read and view code data but cannot be stationed at a terminal or PC. * process tracking and more! Joe Pitera joined the Axis team as a Drive and Motion Specialist this past Spring. Joe comes to us with over 20 years� experience in automation and most recently from his position as a Level 3, Motion Application Engineer for Siemens. His specific expertise includes but is not limited to PLC programming, HMI programming, electronic and mechanical diagnostics, software programming (VB, ST, LAD, MCC, scripting�) and EMC analysis. He has a strong working knowledge of many applications and considered an expert in converting, printing and packaging. Joe has decided to transition from the vendor side to the distribution side of the business channel, �in order to become more pro-active in supporting customers�.